Recent experiments confirm 2 key facts. Feather pecking can be an issue in any housing system. When raising birds in a free range environment the pecking order is not as stable compared to the social hierarchy of a small group of hens housed within an enriched cage system. 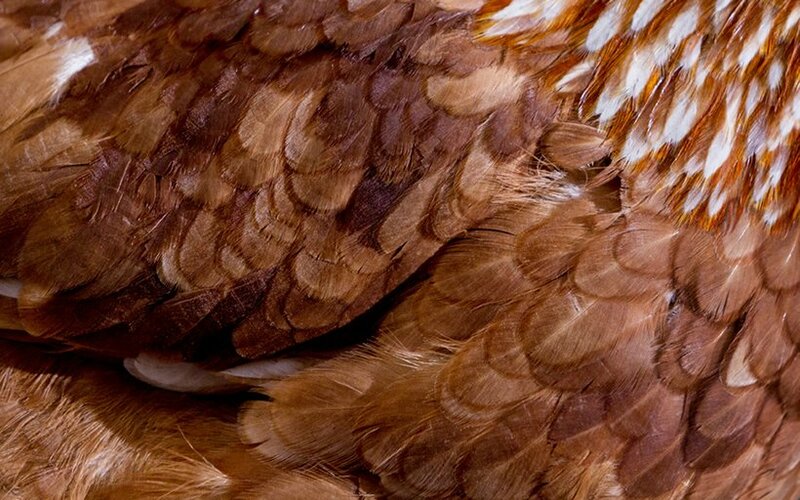 The cause has a genetic component that breeding companies have worked for many years to remove; however, poor nutrition is a key factor in the increased likelihood of feather pecking. Feather pecking is related to the feed consumption time. Lower feed energy level increases consumption time and reduces the occurrence of feather pecking. Conversely, feather pecking and mortality is increased if the feed is presented in pellet or crumble form. Feather pecking can be the result of a lack of coarse insoluble fibre (lignin).